Have you ever taken an investment decision and later regretted for taking such decisions? 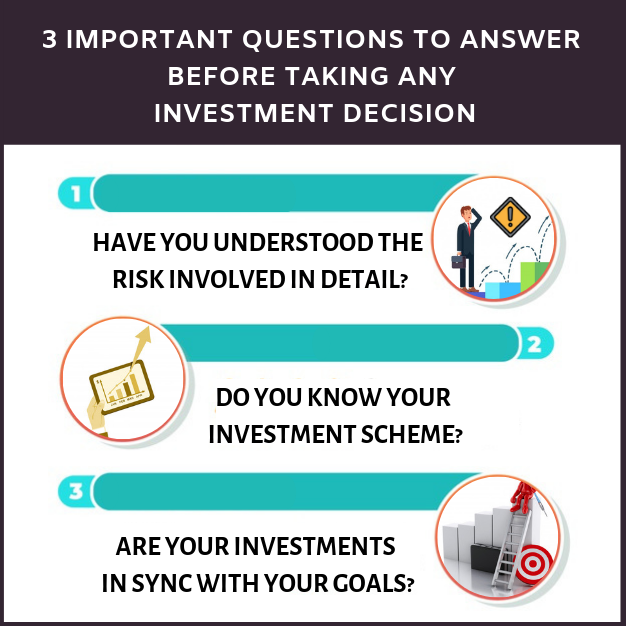 If you could answer the following 3 questions before taking any investment decision the chances of regret will come down and the chances of pride will go up. An important component of the successful investment approach is to know your risk appetite. Risk comes in various forms. It is vital to know that generally investment with higher returns imposes a greater risk to the investors. While most of us want to earn huge returns, some investors also deny taking risk. Therefore, it is always good to know your investment product completely to avoid future perils. Mrs. Sharma invested in a scheme by just listening to the sugar coated sales pitch by a stock broker and put his money in F&O derivatives trading. Subsequently she lost 70% of his principal. Invest after in-depth research about the scheme. Know the scheme before investing to avoid undue losses. Also, before any investments bear in mind that no investment is risk-free. There is always a little risk attached to each type. Do you know the product you are planning to invest in? Or you have just invested because all of your friends are considering it a fruitful investment? Remember, the same scheme cannot be fruitful to every investor, simply because your goals and needs differ from your friends’. Mostly investment decision are influenced by the society you live in and the people you interact with. You are not getting desired results because you have invested in a plan that is not suitable for you. My friend invested in stock because his best friend did the same. But my friend suffered huge losses and his friend did fairly well. The reason of this failure was my friend has no knowledge about stocks and his friend had a fair idea about the market. The moral of the story – never follow the crowd, follow your knowledge and invest in a scheme that will address your situation rightly. 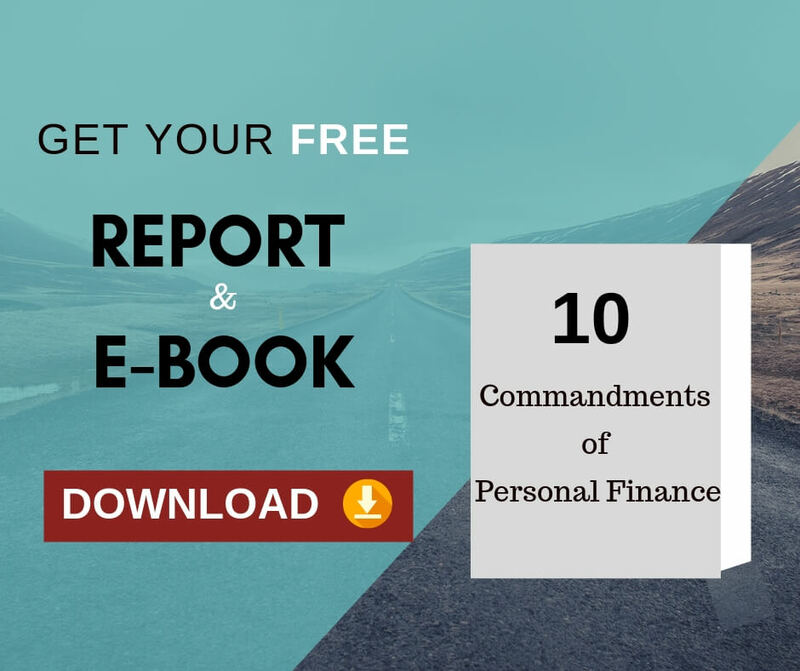 Your financial decisions should be solely based on your financial situations and needs. The most important thing is to evaluate whether your investment plan is meeting or is capable of meeting your fiscal goals. Most of the time, investors do not take into consideration their goals while drafting a plan. The result being, you don’t find yourself closer to your end objectives. While creating an investment plan it is crucial to remember that your investments are merely the source to fulfill your desires. If you have a plan to buy your dream gadget a year later, you should draft a foolproof plan that is compatible with the timeframe within which you want to purchase (in this case within a year). If you have a desire to go on a world tour post-retirement (tentatively 30 years later), you can invest in a scheme that is capable of fetching better returns over a longer period of time. For this your investment plan should be compatible with the timeframe within which you want to fulfill your wish. If you have any dream, draft an investment plan that is in sync with your goals. Don’t lose sight of your goals, as that could result in poor investment decisions/plan. b)	List down the investments you have made so far. d)	After doing this, is there any investments left unmatched with the financial goals. That means you have an investment which is not supporting your financial goal. You may need to review this. e)	Is there any goal left with insufficient investment? If yes, then there is an investment gap to meet this financial goal. You need to invest more in schemes which supports this goal. Whatever the money in the schemes specified in step d) can be revamped to meet this goal. Answers to the above questions will assist you determine the relevancy of your investment approach. The answers will reveal the level of relevance of that investment to you. 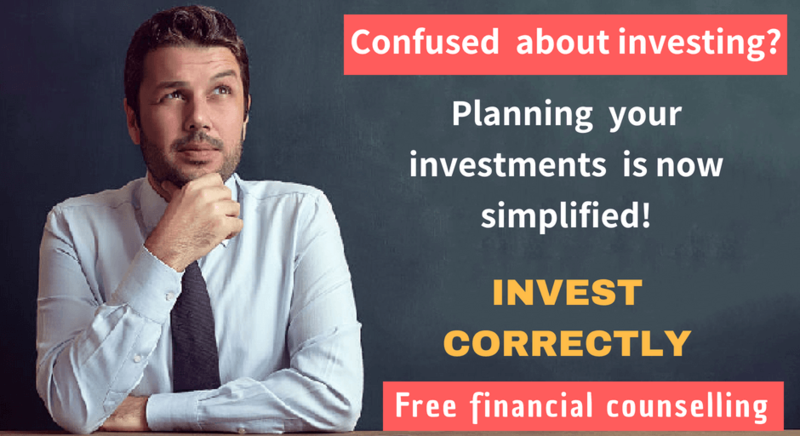 This exercise of answering these 3 questions will stop you from taking most of the wrong investment decisions. Previous Previous post: How much life insurance cover you need? Next Next post: How the Investor can maximize VALUE of his Investments?